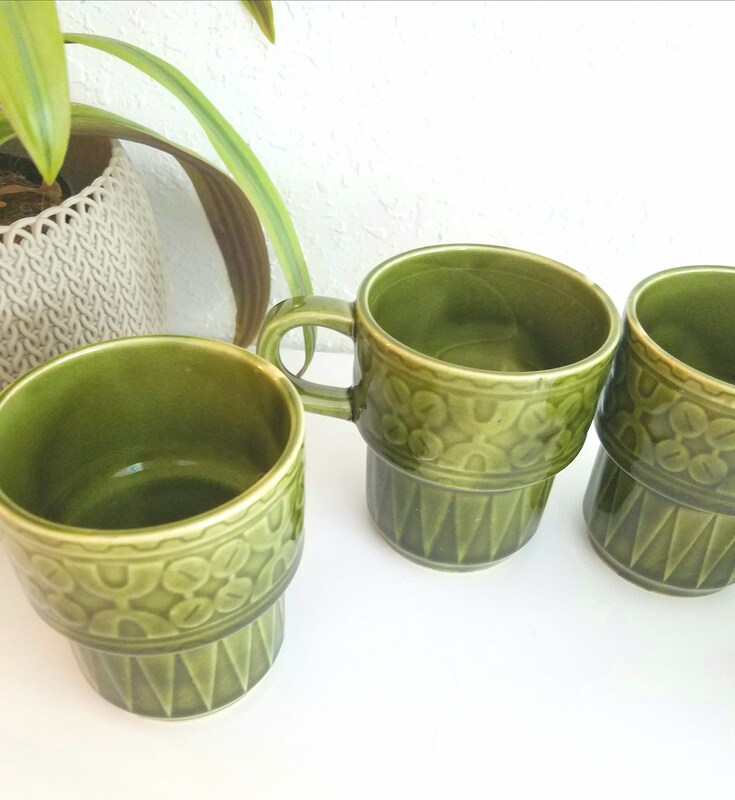 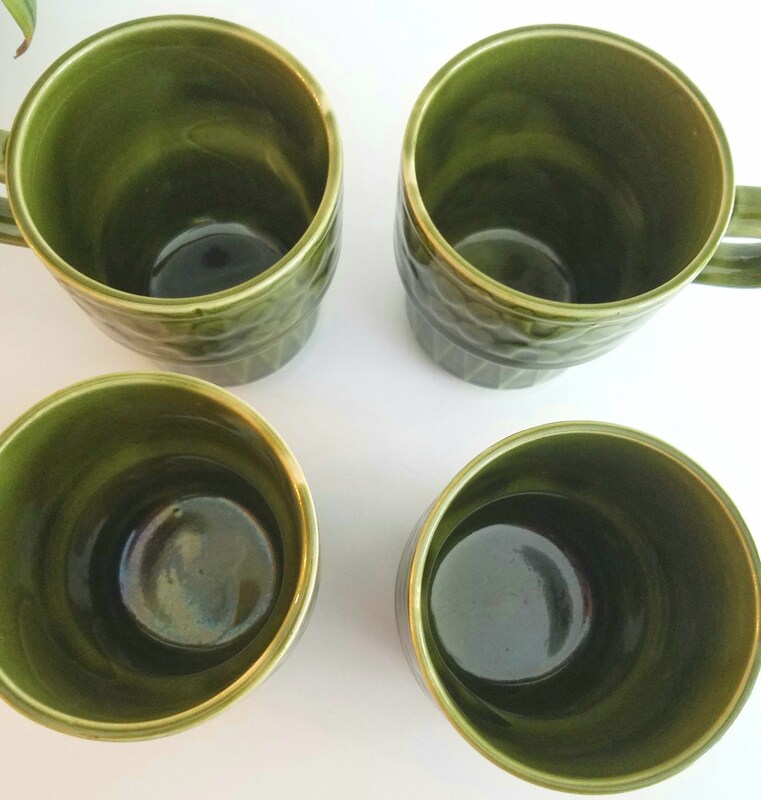 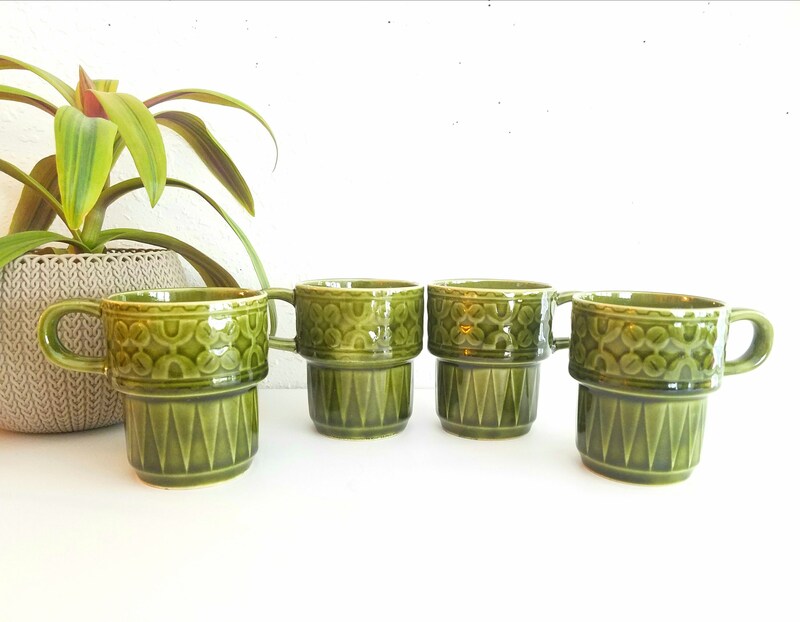 Beautiful vintage set of 4 green glazed stacking mugs. 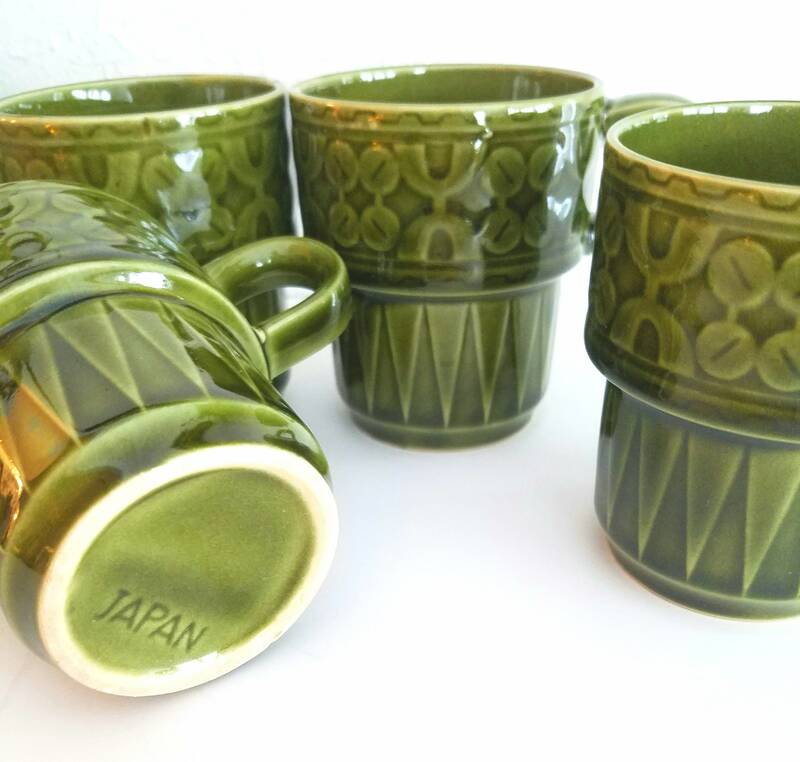 These mugs from Japan are unique in size but would look great on you coffee tray. 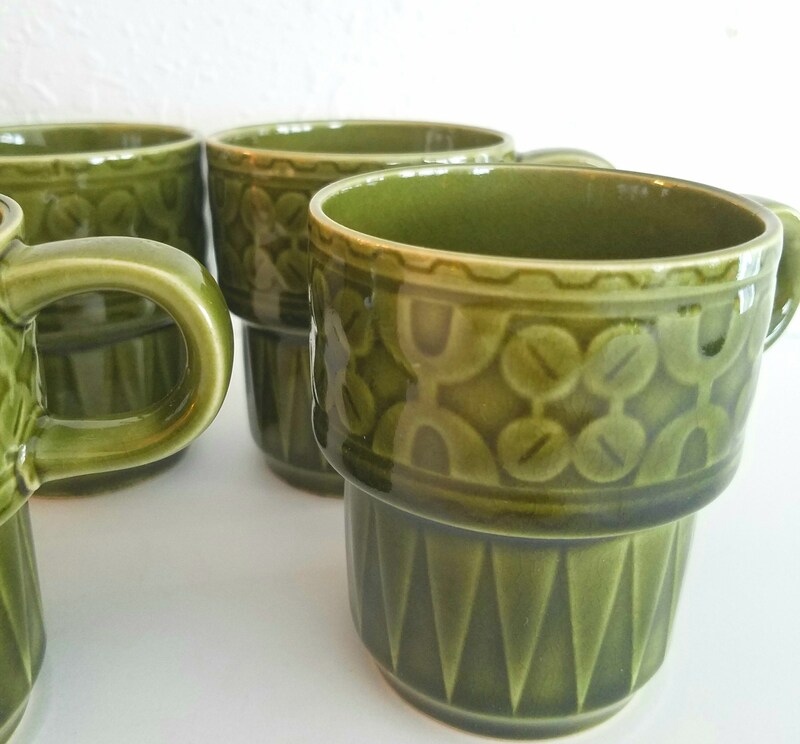 These are in excellent condition and it looks like they were never used. 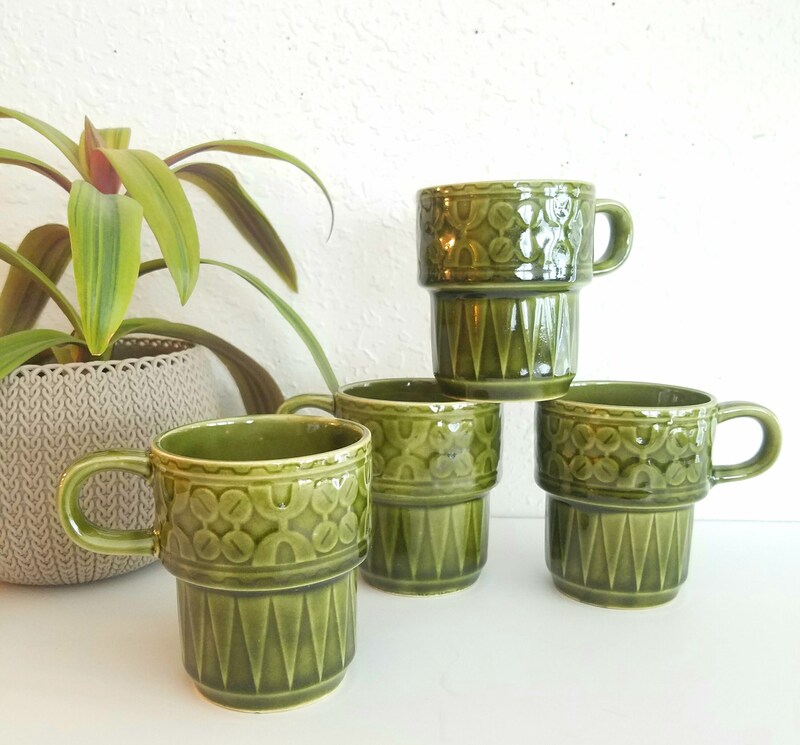 Can hold up to 6-7oz.